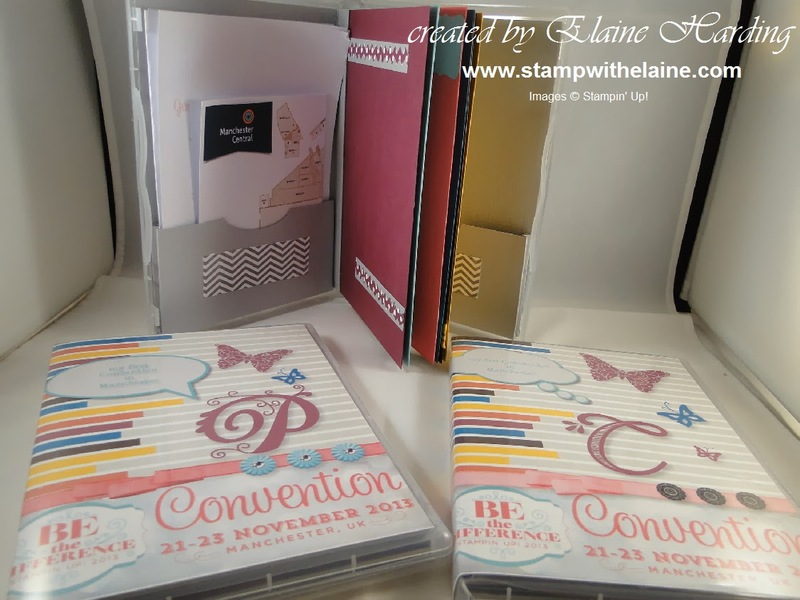 As you read this, I will be attending Stampin' Up! 's annual Convention in Manchester. UK is the host nation this year so I am thrilled that 3 of my team are attending with me this year! 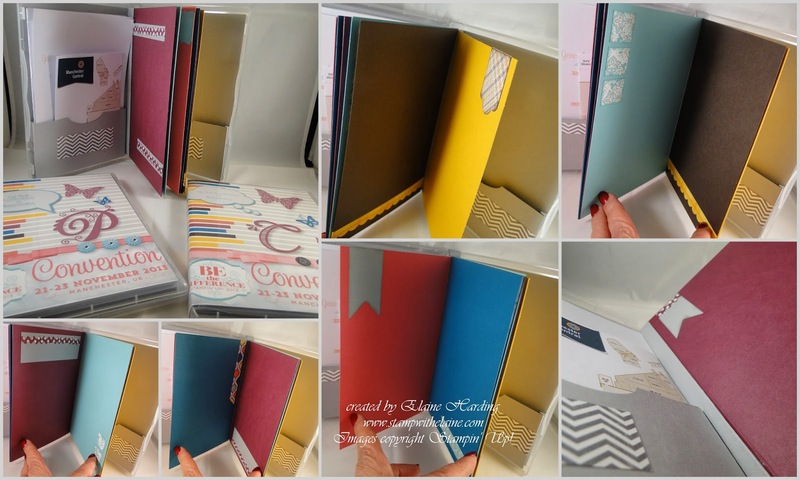 The format has been changed slightly as our numbers grow, and it is more of a Stampin' Up! Expo with several classes to choose from running concurrently in different rooms of the Convention Centre. As it is their first convention I made my wonderful team these souvenir albums packaged in a DVD case. The covers were personalised using MDS, and I custom made the album to co-ordinate with the colours on the cover. The front and back covers have pockets to hold the Convention Agenda, Class List, Map of the Venue and meal vouchers which will be given out when they collect their Convention bags. They also received these brooches - my team symbol is a butterfly. 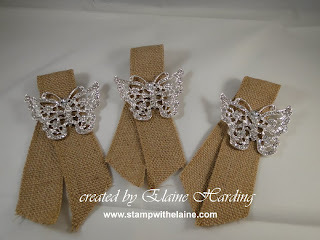 I sewed the butterflies to the burlap ribbon and found that this simple ribbon loop worked the best. I did try to make a flower, but the ribbon was too thick and bulky. Well, as the saying goes, less is more!